This month, the US Department of Health and Human Services is seeking public comment on the objectives of the Healthy People 2030 health promotion and disease prevention initiative. Praxis encourages our community partners to take advantage of this opportunity to submit your comments on how to bend the nation’s health priorities towards health equity and justice for all. The deadline to comment is next Thursday, January 17, 2019. What is Healthy People 2030? The Healthy People initiative drives national health priorities and progress through a multi-year, multi-sectoral approach (including fields outside of traditional health and health care). This initiative seeks to help all people reach their full health potential by aligning health prevention and intervention efforts to a shared set of objectives. From Praxis’ strong health justice lens, we see that many of the objectives start to address the social determinants of health - the life conditions like job opportunities, quality of education, clean air, water and soil, etc. - which determine the health and wellness of our communities. How is Healthy People significant for health equity? Officials’ prioritization of authentic community engagement (inclusive, organic and community-led) - distinct from just ‘buy-in’ - to advance these policies, systems, and environmental changes. Policy and systems design and implementation that center local priorities in a manner that acknowledges, wherever appropriate, the inequity of past practices; and moves forward in authentic partnership with the communities that have borne the brunt of the resulting disparities. Explicit co-production, co-implementation and co-governance between public health officials and community organizers/residents. Impact, not intentions, as the underlying principle of evaluation. Evaluation that measures the process and gains of communities working toward health equity as well as the larger impact of these efforts. What’s at stake and how can submitting a public comment make a difference? With ever-widening disparities in housing, education and various other factors of health justice, we have an opportunity to update and even add to the government’s objectives for better public health in 2030. Our community lens is one that is expansive and inclusive. If we want our priorities for health to be integrated into traditional public health: we need to participate and provide suggestions and recommendations based on what we see in our day-to-day work. This is our opportunity to sit at the table, and not just be featured on the menu. We know from our research that some key areas of concern for many communities include: equity issues surrounding housing, education, civic participation, community safety, and the immigration climate. Enhancing health through improving social and physical environments is a core part of the Healthy People initiative. Through this comment system, and through our own advocacy and organizing: we can catalyze change through naming and expanding opportunities for all people to live in healthy environments and to be able to make healthy choices. This must reflect a more intentional and galvanizing focus of ensuring health equity is integral to all policies and processes that impact health. What proposals can we make and where can we submit them? Currently, key social determinants of focus for Healthy People 2020 include Economic Stability, Education, Social and Community Context, Health and Health Care, and Neighborhood and Built Environment. Each area has a set of objectives.The proposed social determinants-objectives for Healthy People 2030 are on page 56 of this document. You can interpret the above suggestions and build your own unique comments based on your community’s experience with any of them. How else can we approach developing a compelling public comment? What do you see in your community and how can you propose changes that make the listed objectives better fit your community’s needs? Are there objectives that you do not see listed or are missing from descriptions, that you would like to propose? Commenting on Research objectives (as well as Core and Developmental) presents an opportunity for all who work directly in communities to generate and promote the generation of baseline data and proven solutions: in a way that transforms instead of perpetuates health injustices around data and priorities-setting. This is fundamental to enabling health equity in all policies and processes. Comment on the proposed objectives’ core pieces at THIS link and/or register to add an unlisted objective HERE. Criteria for comments can be reviewed HERE. Again, if you have a general comment that you would like to submit, email HP2030@hhs.gov. 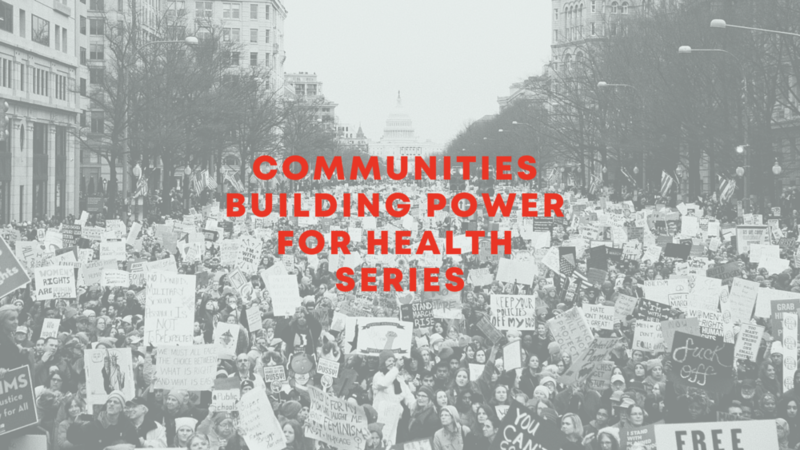 Thanks in advance for taking action to #BuildPowerforHealth and please reach out if you would like support in creating and submitting your own public comment: aliza@thepraxisproject.org.